One of the great pleasures of a cruise holiday is indulging in the beautiful food, freshly prepared by some of the world’s most skilled chefs. 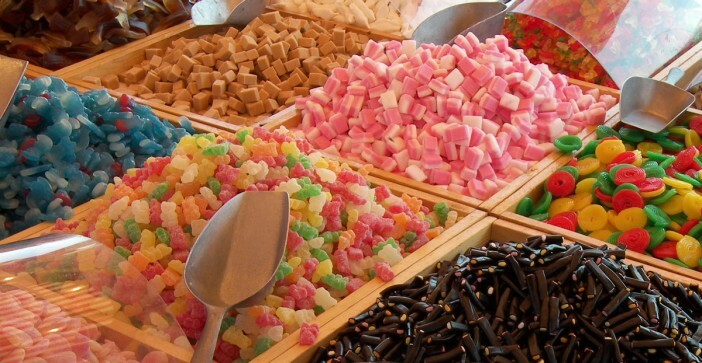 The quality (and in some cases, quantity) of food can greatly influence the holiday many cruise fans take. Here we explore ten of the great ships for food lovers and amateur gastronomy experts. With an incredible 27 dining options on board; the Norwegian Getaway provides plenty of choice and will satisfy even the fussiest of eaters. 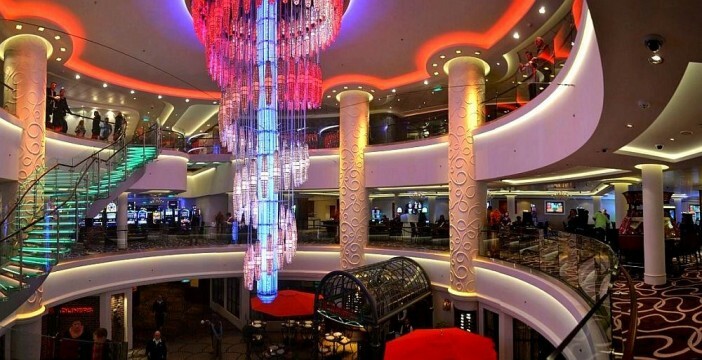 The ship plays host to a number of exclusive speciality restaurants including Ocean Blue and Carlo’s Bakery. The ship also contains some of the most stunning bars on the seas so guests can enjoy an after-dinner cocktail, including the ice bar – an Arctic bar crafted from ice. 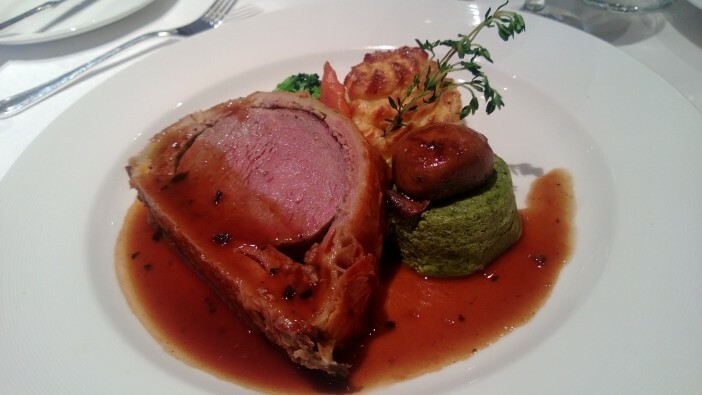 Whilst the Azamara Journey may not match some of the larger ships for sheer number of dining options, the quality of the culinary treats aboard the liner is consistently fantastic. 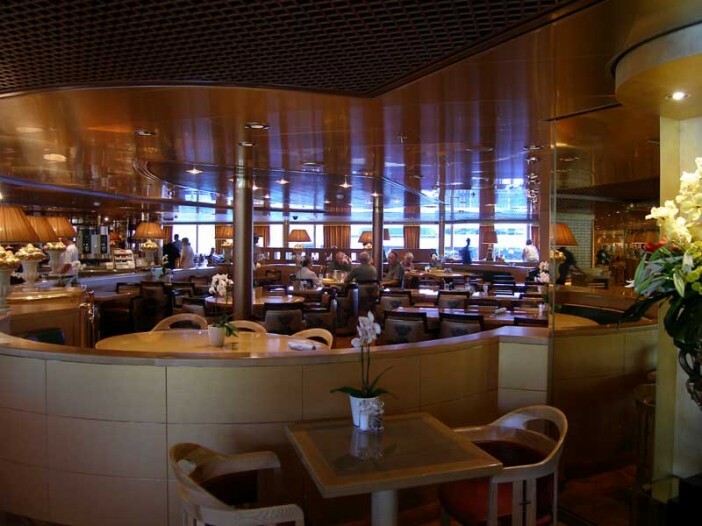 From home-cooking to haute cuisine, the six restaurants aboard the ship are designed to appeal to all palates. The Aqualina, in particular, has built up a dedicated following who enjoy the contemporary, inventive spins placed on Italian cuisine. The beautiful, open Grand Epernay is the main dining hall of the Grand Epernay, offering an incredible selection of dishes and specialities. Able to host hundreds of diners without feeling cramped or crowded; the Celebrity Solstice is the perfect place for a relaxed dining experience. Combing French, Italian and New America flavours and styles – the restaurant produces a unique menu. Norwegian Cruise Line’s flagship liner has a selection of unique dining options including the Moderno Churrascaria – a restaurant based on the traditional Brazilian dining style where skewered barbecued meats are sliced fresh onto the plate. 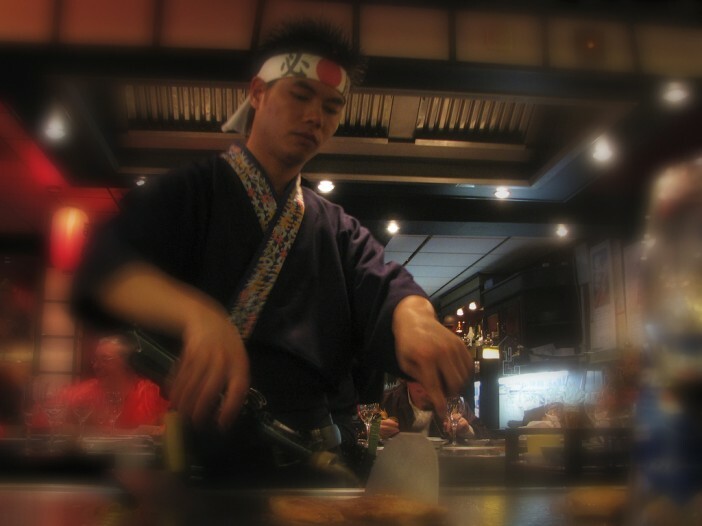 Skilfully-prepared meals are the order of the day aboard the Epic with the Teppanyaki restaurant incorporating live cooking in front of your eyes – a show and a meal in one! 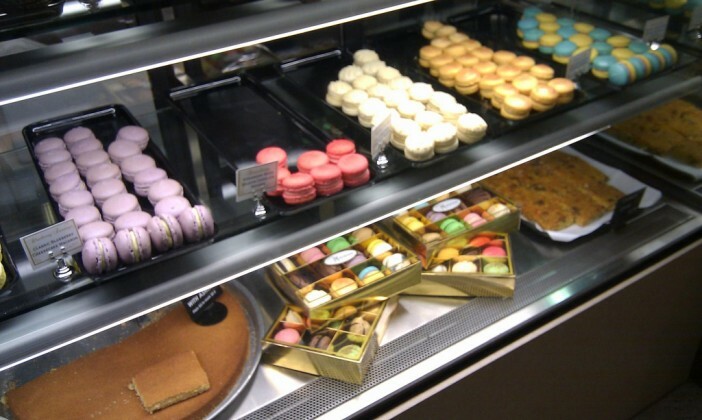 With the vast majority of the dining options aboard the Carnival Freedom complimentary, the ship has put incredible emphasis on producing incredible culinary treats for all passengers. The two-deck fine-dining restaurant Posh is a Victorian style lounge channelling the sophistication and elegance of the era. One of the smaller ships on this list, the Silversea liner is dedicated to personable, top quality service. 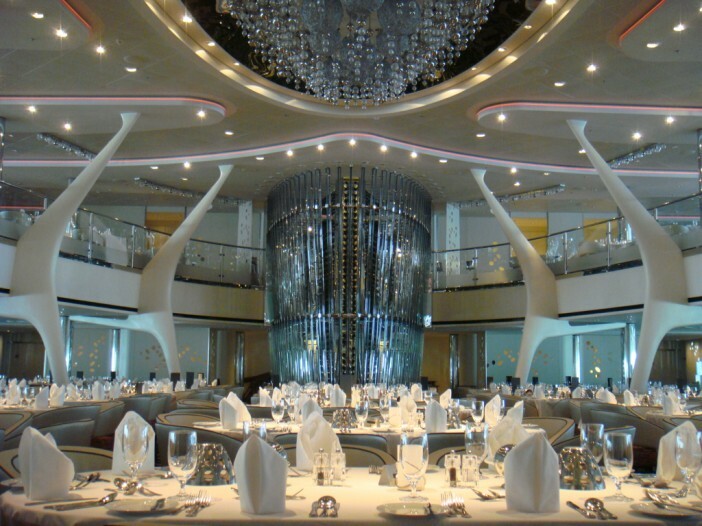 The dining aboard the ship reflects the itinerary, with the restaurants changing their menus to offer the local dishes of the upcoming destinations. 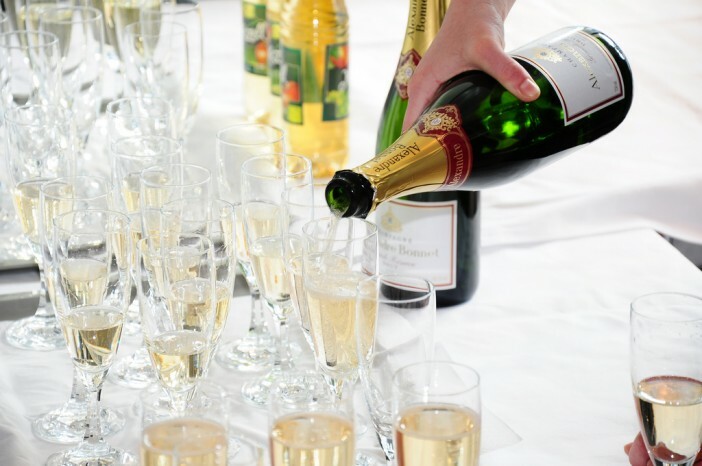 Le Champagne on board benefits from a team of skilled sommeliers who will be able to pair your meal with the perfect wine. With more than 20 dining options with roughly half of these complimentary, Oasis of the seas is the ideal dining ship for families of all ages. The Central Park neighbourhood was the first fresh-plant park at sea and is lined by a selection of different restaurants. The adult-only Solarium contains a healthy bistro, perfect for couples wanting to indulge themselves on holiday without packing on the pounds. From Sabatini’s, serving up Tuscan dishes, to the Crown Grill specialising in steak and seafood; the Royal Princess is dedicated to producing culinary delights which are fit for royalty. Since being christened by Duchess Kate Middleton in 2013, the ship has been wowing passengers with her attention to detail and beautiful settings. With an Indonesian midnight buffet, it is safe to say the Volendam eschews the traditional, offering passengers unique dining experiences whilst aboard the ship. 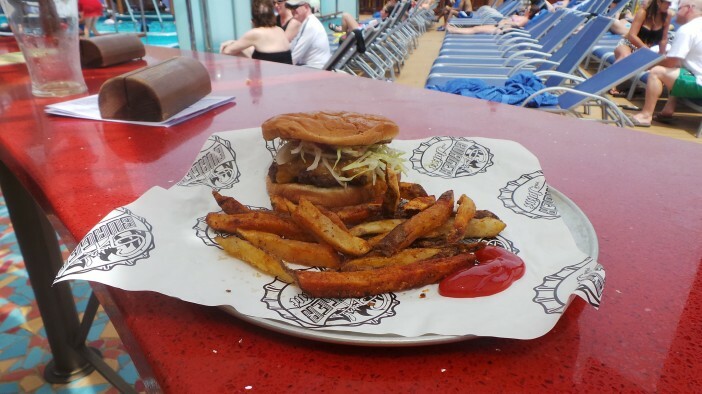 With an emphasis on producing a relaxed holiday, the ship’s deck features a self-serve hamburger/pizza/hot dog/ fajita and taco station. The upcoming ship from Royal Caribbean contains a number of world’s first features which are grabbing the headlines, but the cruise line has also paid incredible attention to the dining options. Alongside some of the more traditional dining options available aboard a number of Royal Caribbean liners, Jamie’s Italian will also take to the seas for the first time, offering unique twists on Italian favourites inspired by Jamie Oliver’s sojourn to Italy. For a full range of Cruise1st deals click the button below or call our dedicated sales team on 0808 274 6777.